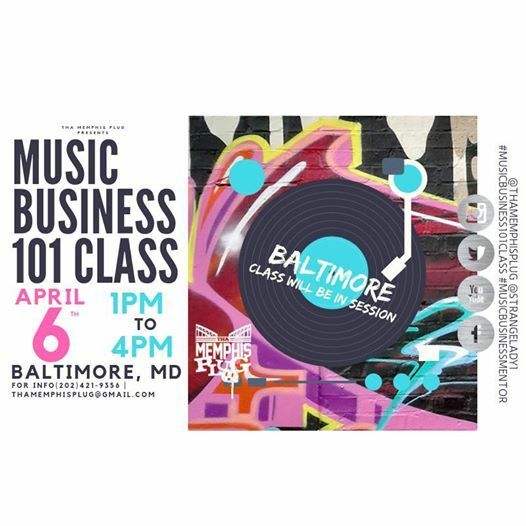 Music Business 101 Class was designed to teach hip-hop artists, producers, managers, and those interested in the music industry the blue print to being independent. Even if you choose to sign or are a label you still need to understand the inner-workings of the music business. 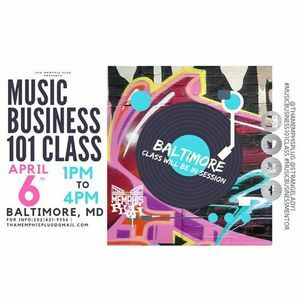 Music Business 101 covers everything an artist (producer, label, manager) needs to know paperwork wise from the time they write a song to the time they release it. We discuss how to protect your music, make money from your music, and how to release your music properly. Split Sheets: What are they? How do they benefit me? What information needs to be on them? Copywriting: What is copywriting? Why do I need to copyright? How do I copyright? Royalties: History of the royalty system. What are they? What's BMI/ASCAP? What's publishing? Digital royalties?? How does it work? How do I register? Encoding: What are these codes!? How do I encode a song for a DJ? What is a DJ service Pack? BDS & Mediabase..what's that & how do I make sure my song registers in those systems? Releasing Music: What is distribution? What's a distribution deal? 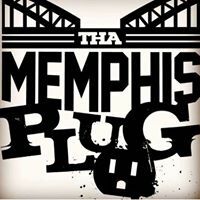 How can I make mixtape sites benefit me? Can I make income from Soundcloud? YouTube: How do I monetize videos on YouTube? How do I make income from YouTube? How to collect Royalties from YouTube? How to get my portion of the ad revenue from my videos on other peoples channels. How do I optimize my YouTube homepage? What is SEO marketing? Basics of Marketing: How do I target my audience? How do I build a team? How do I build a buzz? How do I reach a region? How do I get shows? How do I approach social media? How do I approach blogs? Is street promo & club campaigns still a thing?? When should I worry about radio & how do I get on air?? Our goal is that you walk away with a clear understand of the music industry from a hip-hop perspective. We aim to make sure foundations of the business is understood so that artists, producers, labels, and managers are able to benefit financially in all the possible ways as they push their brands. This is fantastic for beginners, but many of our students have been in the industry for years. It is helpful to those at all levels of the game.